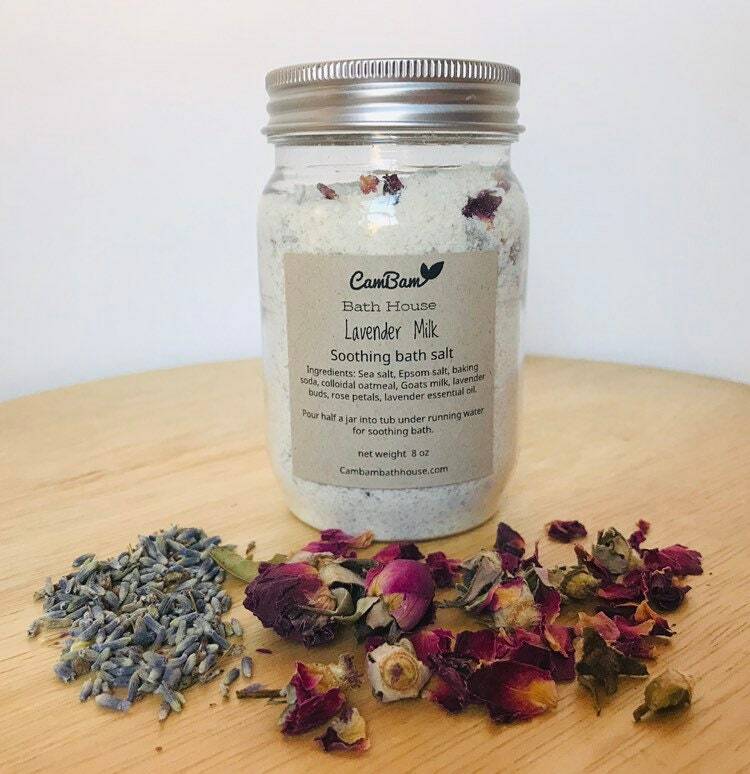 This listing is for 8 oz jar handmade soothing lavender milk bath salt. Scented with lavender essential oil, lavender buds and rose petals. Handmade by Cambam bath house. Ingredients: sea salt, epsom salt, colloidal oatmeal, baking soda, goats milk, rose petals, lavender buds, lavender essential oil.